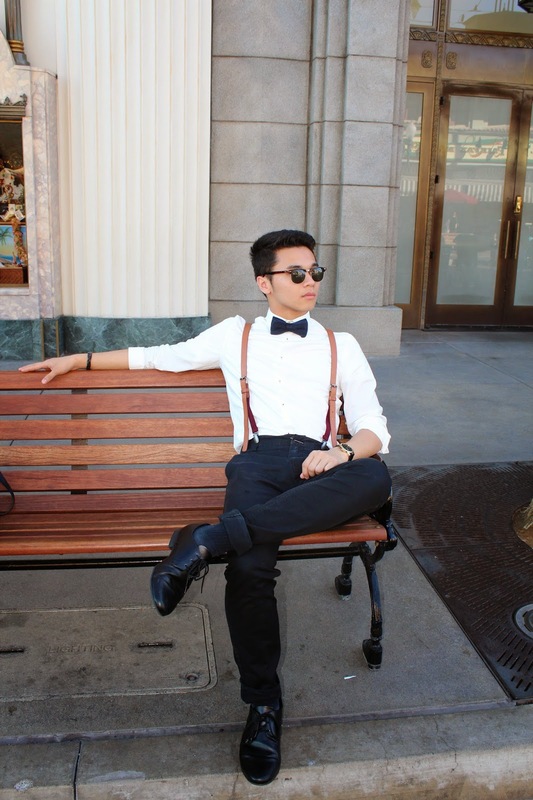 H&M really came through for me for Dapper Day! I found the perfect outfit there. The shoes are oxford-like; my only complaint about them is that they're practically cardboard. The material is extremely thin and the soles are literally like paper thin. But they weren't too pricey so I figured it'd be okay to purchase for a one day occasion. My polka dress is my favorite find! I seriously purchased it the day before Dapper Day and when I saw it I knew it was the perfect dress for the occasion. It's timeless and classic; I'm sure I'll get use out of it in the future! It does catch lint really easily when I wore my brandy melville sweater during the night. My black floppy hat is again, also from H&M. I purchased it a few years ago but I thought it'd be a nice touch to complete my outfit. But I've seen similar hats at many other stores including H&M. As you can see, my boyfriend's entire outfit is also from H&M! I actually didn't even realize that until making this post (LOL). Ryan owned most of his outfit beforehand, all he purchased recently was the bow tie!